Exercise for cardiovascular fitness. Pedaling increases circulationwithout jarring joints. 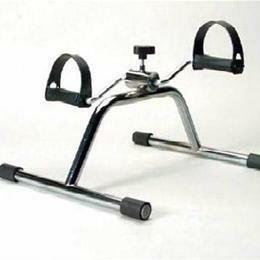 May be used for both upper and lower body.Comes fully assembled. Rubber pedals and straps.